Photo Cyan Canon 100%. Cyan Canon 20%. Matt Black Canon 60%. Yellow Canon 60%. Photo Magenta Canon 100%. Gray Canon 20%. Magenta Sentinel 100%. HP Designjet 1050c Plus Large Format Inkjet Printer/Plotter complete with Stand. The 200 sq ft/hr printing speed provided by this model makes it easy to complete any printing jobs with efficiency. In addition, it is capable to network with various devices through Parallel (IEEE 1284), 10/100BaseTx connections. Notes: printed a test page fine with windows 10 64bit. Although we have tested the item and appears to be working, we may not be able to check every single function. This item is graded as Grade C. Grading definition. Used HP Designjet 1050C Plus wide format plotter (for parts/spares only). • Paper types: banners, matte film, plain paper, tracing paper, translucent paper, vellum paper, canvas paper, vinyl, coated paper, heavy-weight coated paper, high-gloss photo paper. PrintMate Compatible Brother DR3200 Drum Unit. Stay in touch. 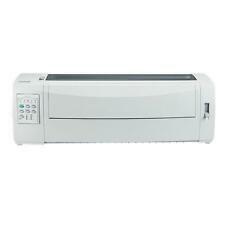 PrintMate Compatible Brother DR3100 Drum Unit. HP Sprocket Photo Printer White. Help & Advice. History of Ryman. About Ryman. HP Officejet 7510 Wide Format All In One Printer. HP LaserJet 4250N. HP LaserJet 4250 N. HP LaserJet printer. Produktlinie HP LaserJet. expert adviceabout our products. Built-in HP JetDirect external print servers. Black and white: 1200 dpi x 1200 dpi. This estate item is fully tested and working great! It’s in excellent used condition. Includes tractor unit #7304w. Has been box kept since the 90’s. Has both parallel (universal Mac or PC) and round connector for TRS-80 computers. Comes professionally packed, double boxed and fully insured. UNLESS OTHERWISE STATED. LOCAL PICKUP. PARTS AND REPAIR. Up for sale is in great condition ADP 6350 Large-Format Printer. This Unit has been cleaned, and fully tested is in excellent working condition. ADP 6350. Large-Format Printer. Epson LQ-2180 24 Pin Dot Matrix Printer wide carrier. Used in great working condition, the print head should be replace. Up for sale is in new condition ADP ACCEL-7450 Printer. This Unit has been inspected. This Unit is in new condition. Not Refurbished ! 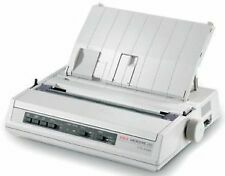 Complete ADP ACCEL-7450 High Speed Data Large-Format Dot matrix Printer. Software CD, perforated paper tractor. COMPARABLE TOP THE IBM 4247-L03 PRINTER. THIS UNIT IS BASE SERIAL AND PARALLEL. WE DO HAVE A CABLE THAT CONVERTS PARALLEL TO USB UNPON REQUEST! OUTPUT TECHNOLOGY. Model: 62419001. You receive the wrong product. Great Condition Triple Interfaced Okidata 320 Turbo Dot Matrix Printer - This is a USB, SERIAL and PARALLEL Interfaced Printer! This is one COMPLETE PRINTER! Okidata Microline 491 Dot Matrix Printers- USB and Parallel- Two Printer Bundle! Bundle of two great condition Refurbished Okidata 491 Dot Matrix Printers! Brother HL-6180DW Duplex Network Laser Printer - 25695 pages - complete! A good used printer, NO toner/DRUM and includes a power cord. 3.5 out of 5 stars - Brother HL-6180DW Duplex Network Laser Printer - 25695 pages - complete! 4 product ratings4 product ratings - Brother HL-6180DW Duplex Network Laser Printer - 25695 pages - complete! Genuine Genicom Tally Line Printer Model T6218 T 6218. Power cord & Printer only. 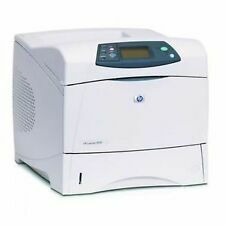 Panasonic KX-P1695 Wide Dot Matrix Impact Form Printer & New Ribbon- Guaranteed! (see pictures). Top panel missing two plastic pieces so it doesn't fully latch on to the top of the printer, but this does not affect functionality and is not noticed unless the panel is removed (see picture). Refurbished ADP ACCEL-7350 Series High Speed Large Format Dot Matrix Printer in great condition with test print. This printer has the ADP firmware installed. Moreover, it is very simple to ease and also available at a reasonable price. Printer Engine. 100 sheets face down (standard). output tray. 250 letter size sheets (option). Lower tray. 150 sheets, or 10 envelopes (standard). This is a fully tested and working Genicom LA500 printer. HP LaserJet 4V 4MV printer paper trays 8 1/2 x 11 and 11 x 17 A3. Model: DL3400. Manufacturer: Fujitsu. Condition: Used Good Extra Info: No Ribbon. We do our best to fully describe the condition of each item. Service You Can Trust. Hp 02563-60035 Used In Hp 2563c Printer. Condition is Used. Shipped with USPS Priority Mail. 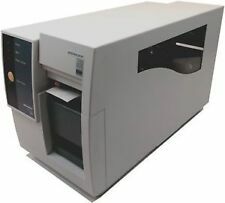 Panasonic KX-P1624 Dot Matrix Wide Form Impact Printer & New Ribbon- Guaranteed! (see pictures). Missing front panel, but this doesn't affect functionality. Includes attached power cable, original ribbon, and unopened KX-P155 compatible ribbon. Accepts KX-P155 ribbons. Printer tested with its appropriate driver on Windows XP. Unless otherwise stated, this has been tested for key functionality. This has been tested and it is in good working order. Note that this does NOT include any cables/accessories. We are otherwise not open to the public. This is a fully tested and working AP1371 printer. Remanufactured Laser Printer (Q3721A) in like-new condition. Minimize user intervention with high-capacity input and output options, with unsurpassed HP printer network capabilities and HP Smart Printing2—all for exceptional performance. Model: P10SA. - LPT cord included. - SET: Printer & Cord. This retro printer is ideal for DOS & Old OS 90-s!